Scythe Kama Connect | OhGizmo! 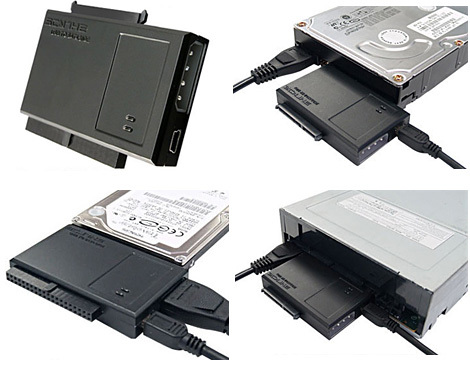 The Kama Connect is another one of those USB 2.0 devices that allows you to connect directly to a hard drive or CD/DVD drive without the need for an external case. What sets the Kama Connect apart from the rest is that it has multiple connections for 2.5 inch or 3.5 inch IDE drives and 2.5 inch, 3.5 inch and 5.25 inch SATA drives. And since the Kama Connect is available from Scythe for only $29.90 it seems like a must-have tool to keep on hand for any emergencies.